If I could turn back time, I have an endless list of things I’d like to do different. If I could turn back time, I have an even longer list of those things I’d like to hold on to forever. I can’t turn back time. I can’t change what I already chose along my journey. What I can change, what I can choose are the things that will make up my today. It’s been a long year. I’ve dealt with a deep depression, and most people don’t even know. I’m blessed. 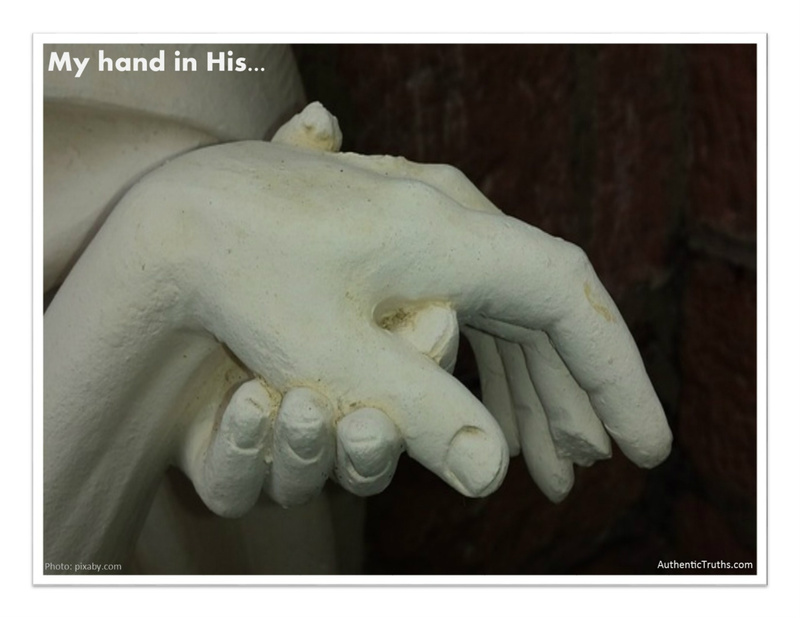 I’ve learned to allow my Jesus to walk me through these times, gently holding my hand or grasping my arm and taking each step, side by side, with me. And this time… I’d say, He’s even had to carry me a while. Obviously, our Father is prepared for such times. Our hope can’t falter if we are to gain ground and maneuver our way through the troubled walk of depression, or the circumstances of life without depression. Troubles will come. How we manage our thinking through those troubles will lead us to Christ; and unfortunately, can also lead us astray. There were days in my past that I didn’t know how to hold on to faith when the free fall of my mental health began. I didn’t know if I would just look up, I would see light in my darkest moments. I didn’t know that if I kept my prayer life alive, my joy would remain living too. I didn’t know that when I felt alone on a cliff of despair, while on that cliff, I was truly resting in the lap of my Savior. I can’t turn back time. But I choose today to be my own reminder of who I am- a beloved daughter of the King. I choose today to fight to stay above the waters, to believe I am free, I am saved, I am loved. He is my God, throughout my lifetime, until my hair is white with age. He made me, and He will care for me. He will carry me along and save me. Always.